Suboxone, a combination of buprenorphine and naloxone, is a drug commonly used to treat opioid addiction as a form of medication-assisted treatment. Since buprenorphine is a synthetic opioid it can be detected on certain drug tests, most notably a 12-panel drug test. Home > Blog > Does Suboxone Show Up On A 12-Panel Drug Test? Suboxone is actually a combination of two drugs, naloxone and buprenorphine. Naloxone is considered an opioid antagonist, meaning that it actually reverses the effects that opioids have on the body. Buprenorphine is considered a partial opioid-agonist, meaning it can have some of the same effects as opioids which can help to relieve symptoms of cravings and withdrawal. The combination of these two substances help to create a drug that is frequently used in the treatment of opioid abuse and addiction. Suboxone can relieve symptoms of cravings and withdrawal while the antagonist nature of naloxone helps to prevent the misuse of the drug. This can result in a stabilizing foundation for individuals to begin their recovery from opioid addiction. Drug testing is generally run on different types of samples from the body. Drugs can be detected from many locations on the body, but the most common types of samples submitted include saliva, blood, hair and urine. The most popular option chosen for most drug screens is a urine drug test. There are two main types of urine drug tests commonly used in the United States; a 5-panel and a 10-panel test. The 5-panel test is the most common choice for employers to use for pre-employment screenings due to cost. A 12-panel test is also available but is rarely chosen because of how expensive it is to run the screening. The main difference between a 5-panel and a 10-panel drug screen is the substances that they are looking for. 5-panel drug tests can test for most illegal street drugs, while 10-panel drug tests can also test for many types of commonly abused prescription drugs such as benzodiazepines, opioids, and barbiturates. 12-panel drug screens are usually used in conjunction with a 10-panel test, and their main objective is to test for opioid painkillers. Does Suboxone Show Up On A Drug Test? The short answer is yes, suboxone can show up on a drug test. However, it has to be a specific type of test to pick up on suboxone in someone’s system. A typical 5-panel test cannot detect most opioid painkillers, including suboxone. A 10-panel test is unlikely to show suboxone, but it is possible if the levels of buprenorphine are high enough. A 12-panel drug screen is a test that can detect suboxone. Buprenorphine is considered to be an opioid even though it is only a partial agonist, and 12-panel drug screens are specifically designed to detect prescription opioids. 12-panel drug screens are unlikely to be chosen unless your employer, the court or another entity in charge has specific reason to suspect opioid drugs are present in your system. Above all, if you are using suboxone as a treatment for opioid addiction, you can choose to be upfront about it with whomever is asking you to perform the drug test. Addiction is considered to be a disease, and suboxone is a valid and approved method to treat this disease. 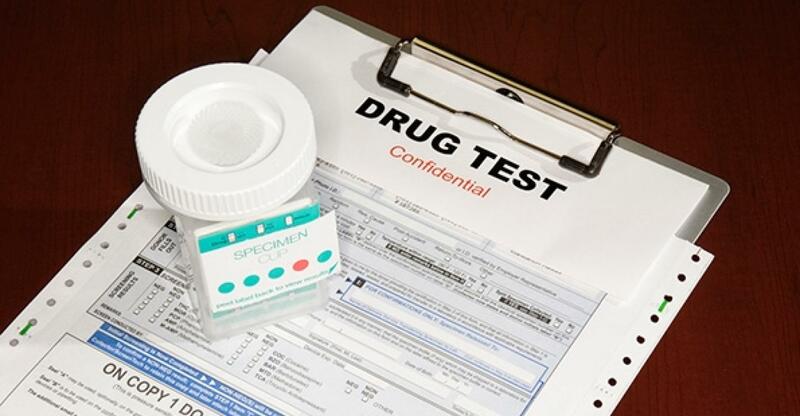 Use your best judgement when determining how to approach concerns with drug testing. Suboxone therapy is a method of addiction treatment that is frequently used in the United States. While it may seem strange to treat opioid addiction with another form of the drug, it actually has a proven history of being a successful treatment for many individuals. The role of buprenorphine as a partial opioid agonist helps it to work for both sides of the fight. As a partial opioid it can fulfill many of the symptoms associated with addiction which can help individuals remain free of other drug influences. This will offer a sense of independence for the individual, as they are able to focus more on the mental and emotional components of addiction. It is important to note that although suboxone is used in the treatment of other opioid addiction, it still carries a risk for addiction. Activating any of the opioid receptors in the body can open the risk for addiction. However, this risk is far less with a drug like suboxone due to the stabilizing quality of the additive naloxone. How Is Suboxone Different From Other Opioids? Full opioid agonists bind tightly to all opioid receptors located in the central nervous system and digestive tract. These will release the full effect of opioids on the body, including slowing breathing and heart rates as well as reducing cognitive abilities. The buprenorphine in suboxone only binds to certain opioid receptors in body, and leave others open. Buprenorphine can help block other opioids from binding to those receptors, while still satisfying some of the same effects that full agonist opioids will. As a complete antagonist, naloxone strives to reverse and block the effects of all opioids, helping to prevent an overdose. Naloxone can also reduce the effects that opioids have on the body, causing a potential high to feel diluted and unsatisfying. This can be an added help in breaking the cycle of addiction. Suboxone therapy has helped many people overcome their struggles with opioid addiction. This type of therapy can be a powerful tool for you as well. If you or a loved one is struggling with addiction to prescription painkillers or other forms of opioids, we can help. Our addiction treatment specialists can help connect you with a drug treatment facility that offers suboxone therapy as well as other treatment modalities. Call us today to get started on your path to recovery.